The following is the second installment of a new series of editorials which will communicate portions of my recent trip to the Chernobyl nuclear power plant. 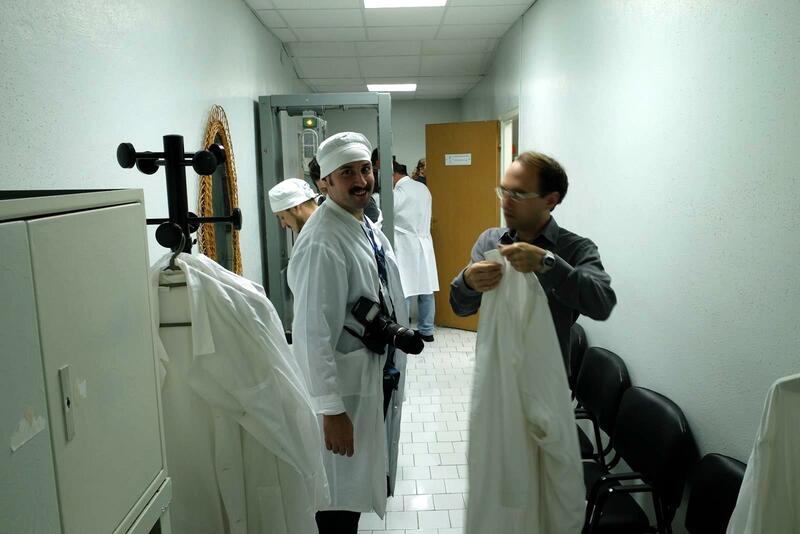 The first editorial focused on what it was like to experience the plant, this article is focused on different areas we visited at the Chernobyl plant (outside of Unit 4 – that is still to come) and I document many of the radiation levels that I observed in those areas. 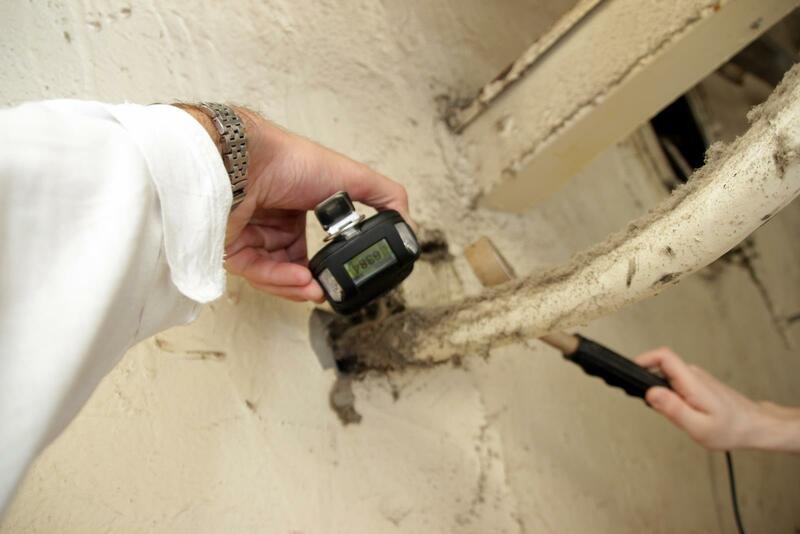 As you will see the radiation levels vary in different areas of the plant and even room-to-room inside some of the buildings. The construction of the facility began in 1999 and is currently 70-80% complete. 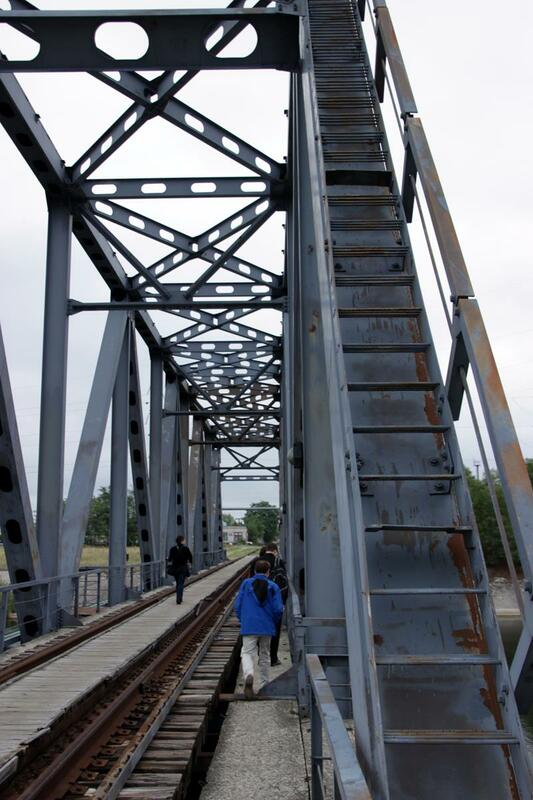 They hope to have the civil works finished by the end of 2016 and to begin cold and hot testing. 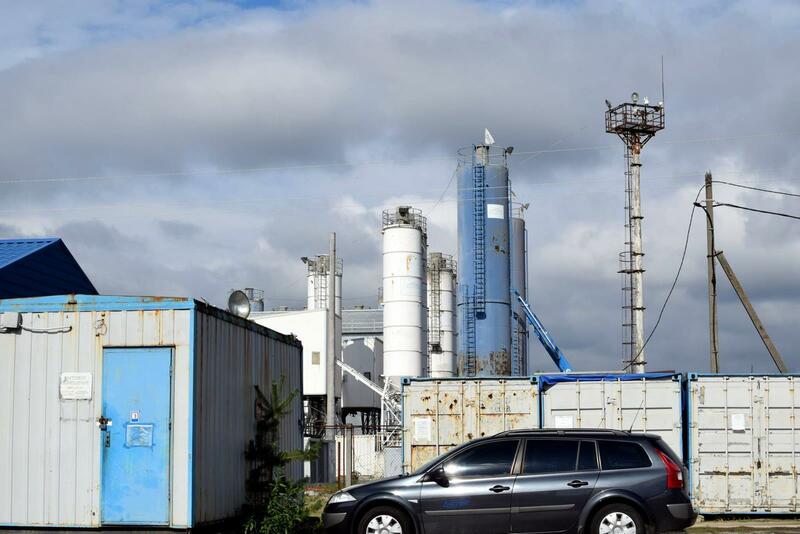 The concrete plant right next to the ISF-2 site. Right next to the ISF-2 facility is a large concrete plant, which supplies the necessary material for the construction operations. An illustration of how the RBMK assemblies will be handled and loaded into dry casks at the ISF-2 facility. 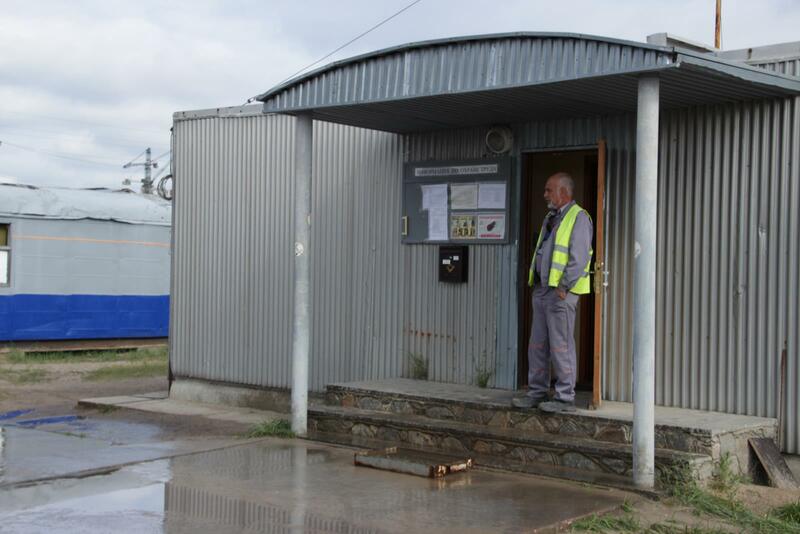 We were taken to an administration trailer just outside of the construction area where we were given a comprehensive overview of the plan for spent fuel at the Chernobyl nuclear power plant by the Construction Manager of the ISF-2 project. That radiation levels inside of the meeting room were very similar to the radiation levels near the security gate. One selling point of the RBMK reactor design was that the reactor never had to be shutdown for refueling, instead 2 to 4 assemblies would be switched out while the reactor was operating. The dose rate on top of the reactor during operation was 4 mR/hr. The 21,000 spent fuel assemblies from the intact decommissioned reactors is currently stored in spent fuel pools inside of the reactor buildings. This large equipment will transport the dry casks from the ISF-2 facility to the concrete bunker where they will be loaded. 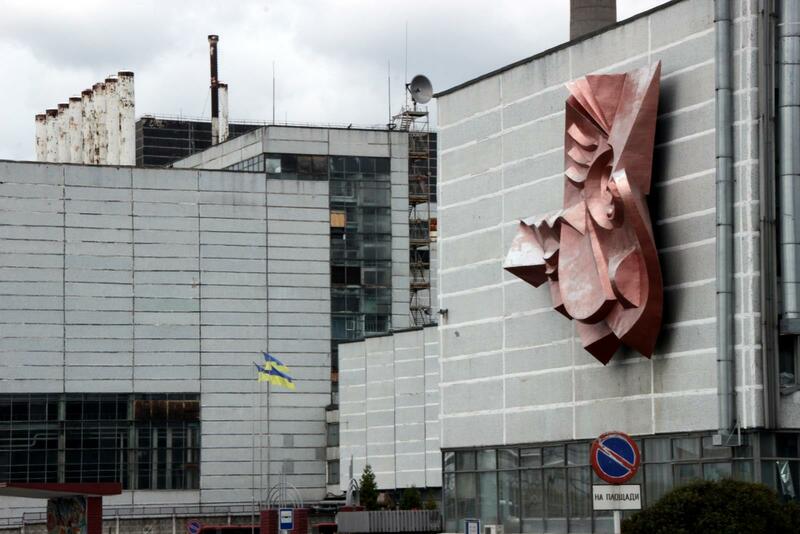 The workers at Chernobyl feel that spent fuel should not be stored for long periods of time in water because it is an “aggressive environment” and there are other methods of storage that can better maintain the integrity of the fuel assemblies. The plan is to transport the assemblies from the spent fuel pools in the reactor buildings to the ISF-2 facility where they will be inspected by camera. If the process goes according to plan, 2,000 spent fuel assemblies will be processed each year (9 per day) and installed in dry casks. 93 spent fuel assemblies can be stored in each dry cask canister and it will take approximately 239 dry casks to store all of the assemblies. 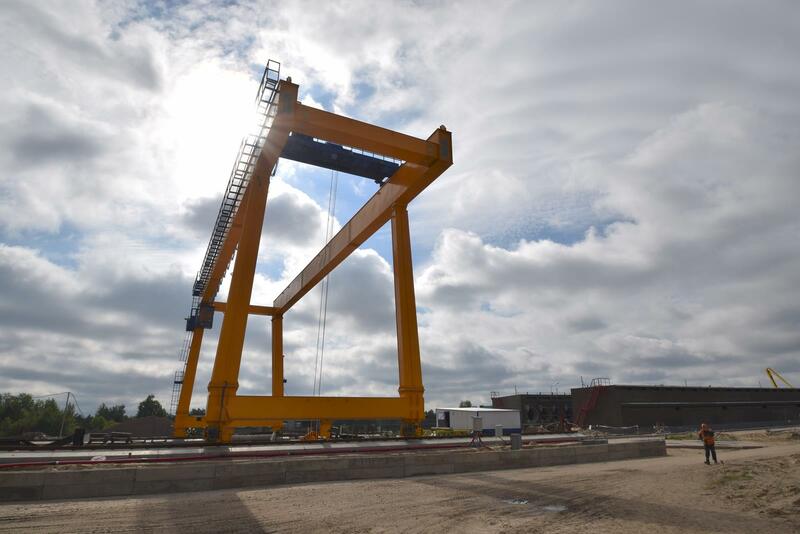 Once packed with the spent fuel assemblies a large crane and gantry will transport the casks from the packing building to the bunker where they will be stored. In the industrial area where they are constructing the ISF-2 facility the main priority for protecting workers is dust control. The ISF-2 facility is on the opposite side of the nuclear power plant from the Unit 4 Sarcophagus and therefore is not greatly affected by the gamma shine coming from the structure. 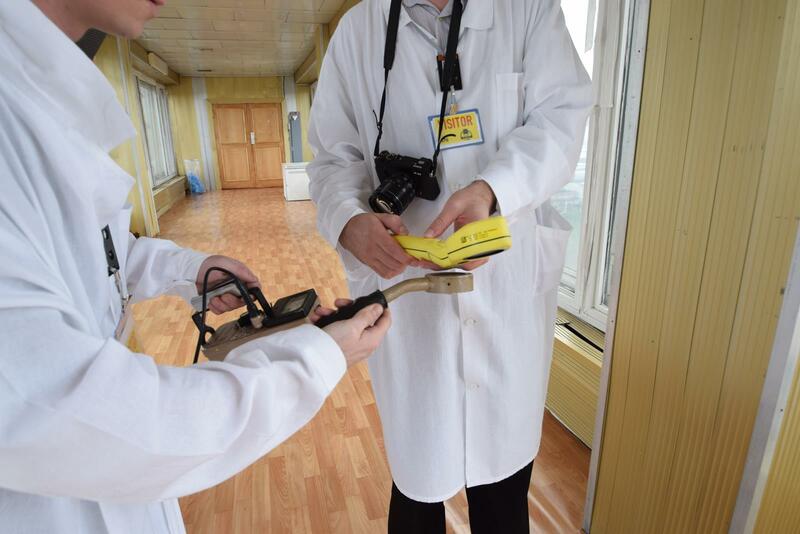 The protection programs we witnessed on-site were focused on preventing the accumulation and tracking of dust and the radioactive materials that may be in the dust inside the management trailers or the processing facility. They have scraped back the topsoil and brought in new fill materials and then laid concrete and asphalt over that. Every couple of hours a sprayer truck will come by and wet down the road leading into the construction site and the surrounding paved areas. 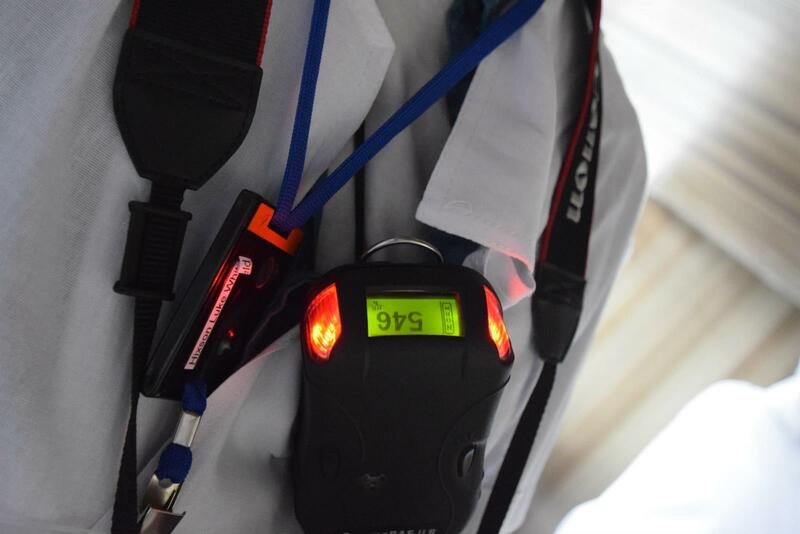 The radiation levels at the entrance to the construction site bounced between 14-29 uR/hr. One of the small metal trays with water to step in before entering the administration building. Installed outside of the buildings are small metal trays that are filled with water. Before you enter a building you step into the water to dislodge some of the dirt and dust that are on your shoes and prevent you from tracking it into the facility. 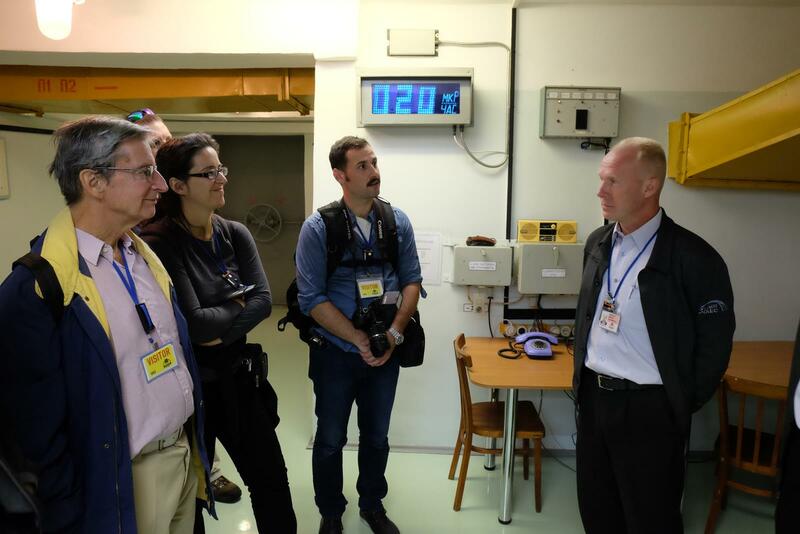 While we were at the ISF-2 facility we also met a dosimetrist named Pavel who was measuring radioactive levels on equipment that was stored outside to ensure that no excess contamination was building up on them. When travelling between locations by bus, I was always trying to balance taking pictures out of the window and monitoring my detector to observe how the radiation levels varied. It was interesting to watch the measurements jump up and then look around outside to see if any indication of the source could be determined. Whenever we passed the Unit 5 and Unit 6 reactor buildings or the ISF-1 spent fuel storage building my measurements would always jump if I was seated on the closest portion of the bus. After a quick lunch at the canteen I went outside to mingle with the workers and talk with our liaison while the other members of my group finished eating. Once I got outside I decided to explore the surrounding area of the cafeteria. I looked down and recorded 22 uR/hr in front of the canteen, but as I made my way around to the rear of the building the readings jumped up to 84 uR/hr as I approached a manhole in the middle of the road with a puddle of water around it. Heading back to the ABK-1 building. We went back to the Administration Building (ABK-1) and were escorted up to the 2nd floor to a large two-level room. I looked down at my detector as we walked up to the entry doors to the Administration Building and saw I was measuring 40 uR/hr, after I passed through the entrance and into the building the levels dropped to 15 uR/hr. 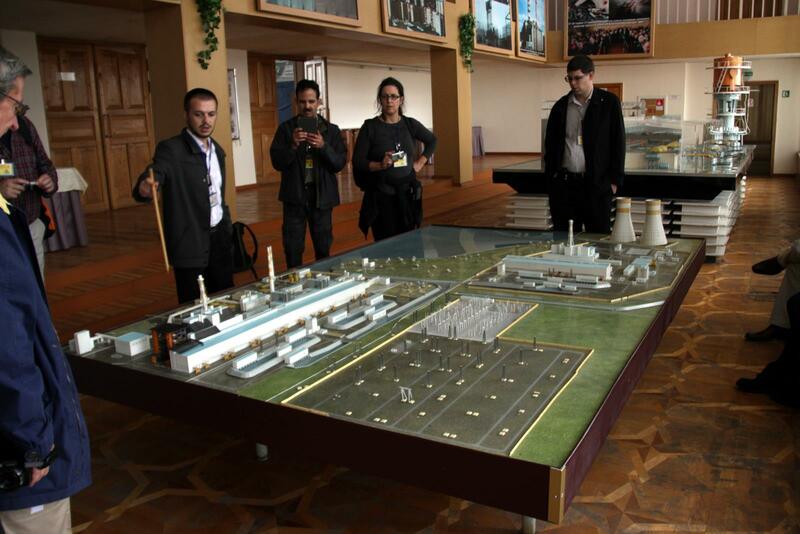 Model of the Chernobyl nuclear power plant in the ABK-1 building. Inside the administration room we were taken to there was a large model of the entire nuclear power plant with all 4 connected units (Units 1, 2, 3, and 4), the 2 units which were under construction at the time of the disaster (Units 5 and 6), the cooling ponds, the switchyard, and all of the auxiliary buildings. After we were briefed on the construction of the plant and the operating history of the Unit 1, 2, and 3 reactors we exited the floor and went down into the basement. We eventually continued down until we reached two large blast doors which must be passed through to enter the fortified emergency shelter where the managers of the plant were stationed during the disaster. 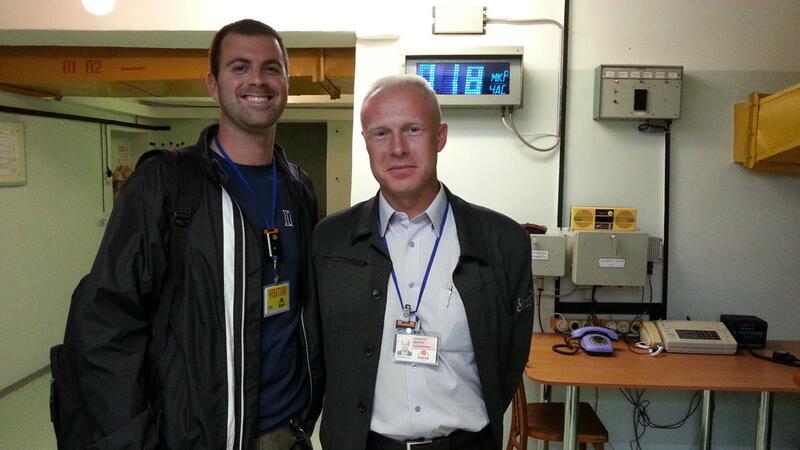 Dmitriy Vladimirovich Kondratov (on the right), the Emergency Management Director at Chernobyl. 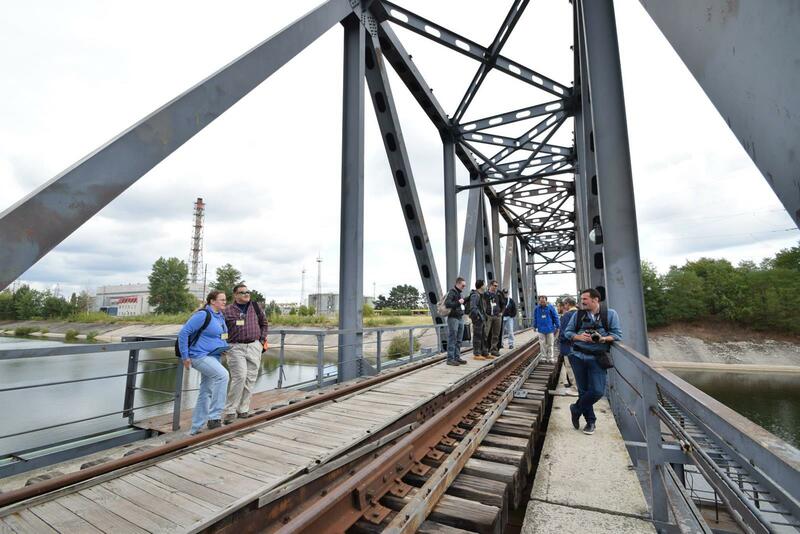 We were guided by Dmitriy Vladimirovich Kondratov, the Emergency Management Director of the Chernobyl nuclear power plant whose clean-cut face and military high and tight haircut betrayed the fact that he had spent some time in the armed forces. Dmitriy later told us that he had enlisted in the Soviet Navy and worked as a turbine engineer on the K-3 (the first Soviet nuclear submarine). The entrance to the emergency shelter and the contamination check portal. To enter the shelter one has to gain entry through large blast doors and pass a contamination checkpoint. The underground bunker has its own air supply and filtration system and enough food and water to stay completely sheltered for 5 days. 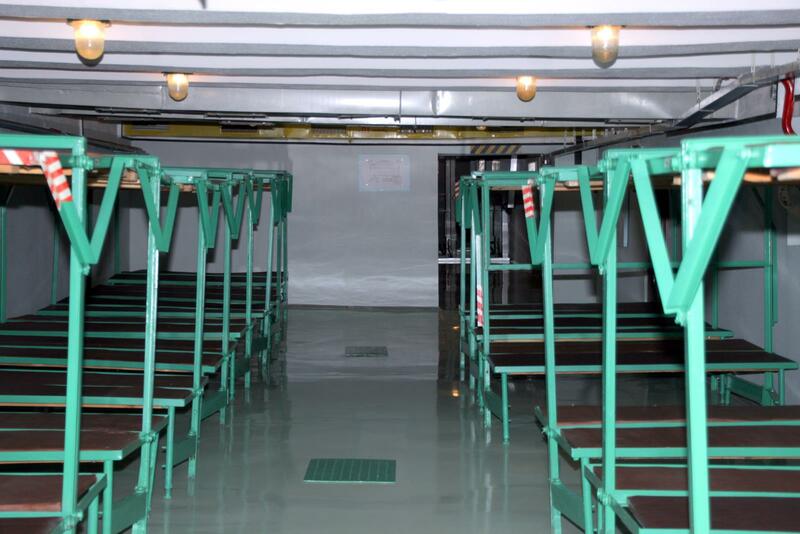 Rows of bunks line the walls in a large room in the shelter. The main room is still full of steel bunks with plywood covered with vinyl for a mattress, where workers slept between shifts during the disaster. Branching off of the main room are adjoining rooms sectioned off for bathrooms, first-aid, communications, and the operational command center. Dmitriy explaining how the command center operated during the 1986 disaster. 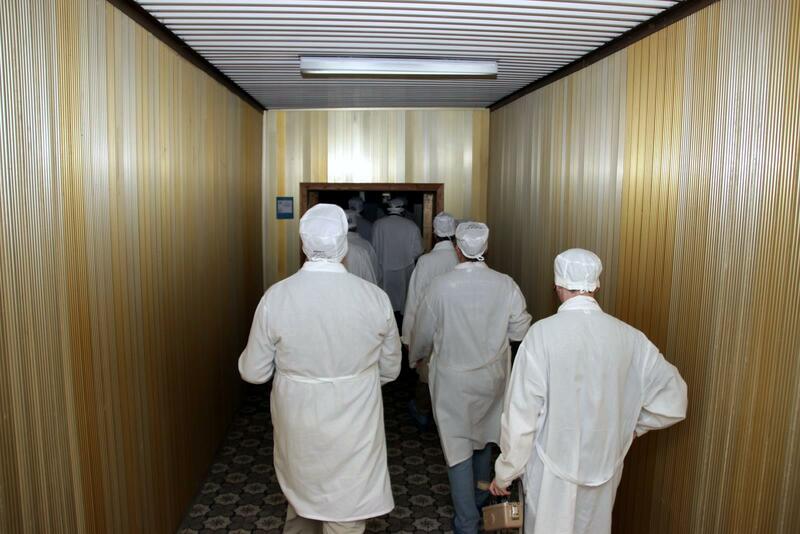 The command center is a long rectangular room where the plant director and other top-level officials directed response efforts after the reactor exploded. 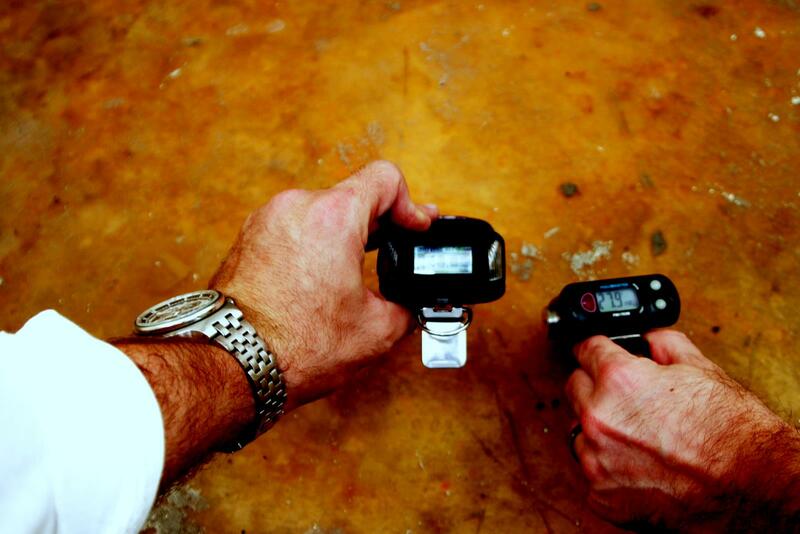 The radiation levels in the command room were just as low as in the basement of any house, between 8-9 uR/hr. 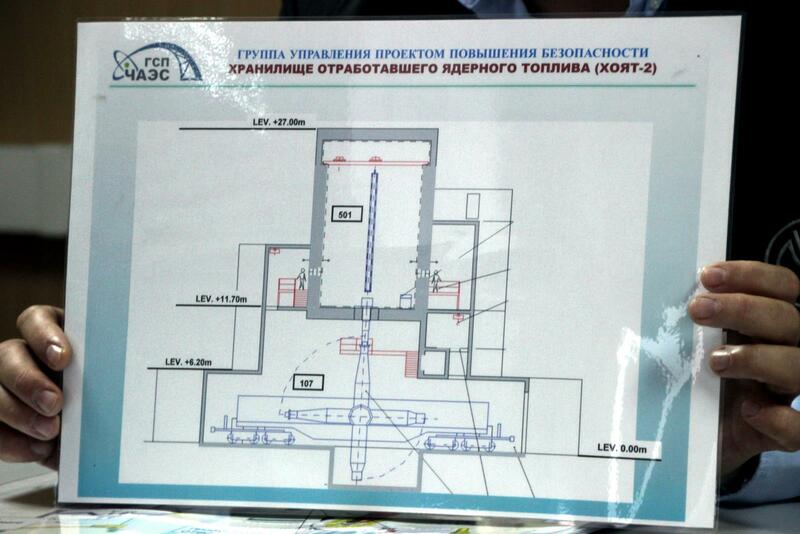 The command center in the underground shelter for the director and management of the Chernobyl plant. 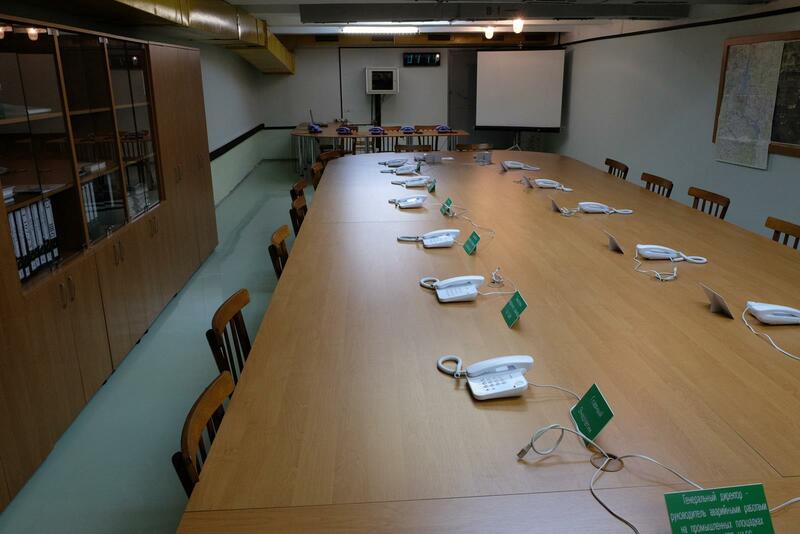 In the middle of the room is a large table with a direct line and internet connection for the officials. At one end of the room is the table for the plant director. 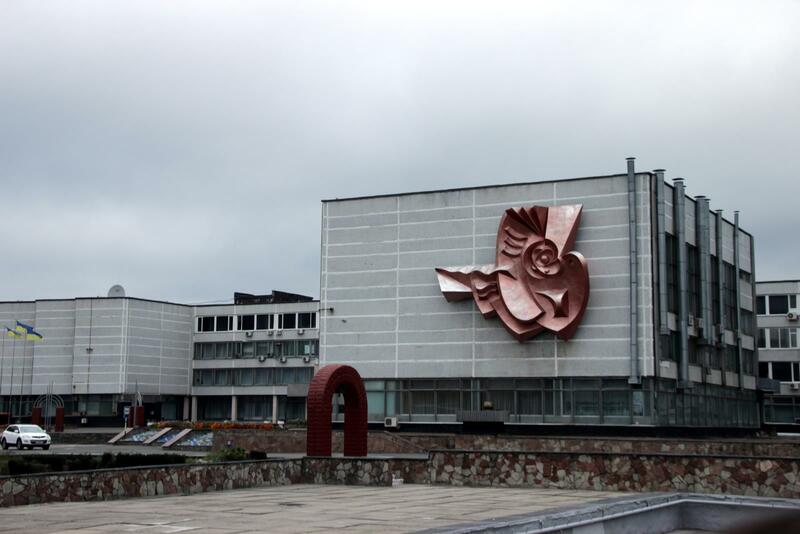 On the walls are aerial photographs of the facility and the sarcophagus. We found a small hotspot at the entrance to the stairwell of the bunker. The radiation levels in the bunker were between 9-16 uR/hr. After we climbed the stairs back to the ground floor and exited the shelter we found a small spot of contamination coming from under the tiles beneath our feet that was measured to be 67 uR/hr. The changing room where we put on garments and shoe covers to prevent the transfer of contamination as we passed through the buildings. 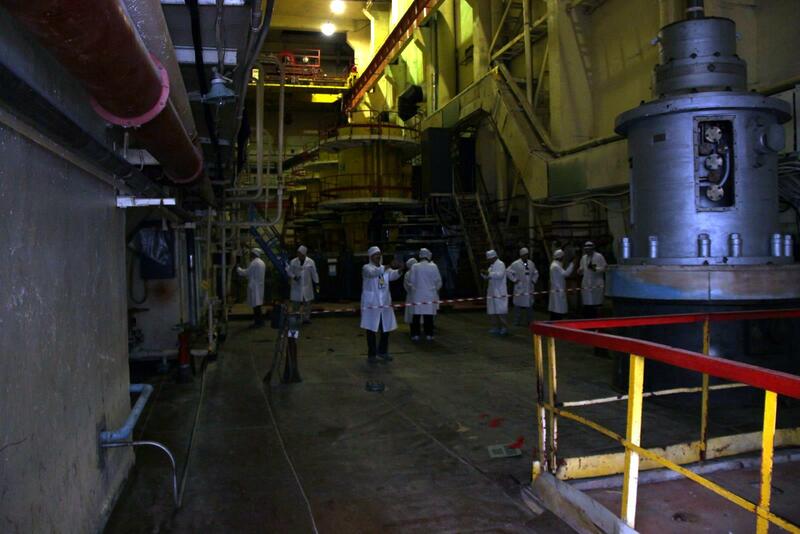 We walked through the Administration Building to a small room where we donned flowing white laboratory jackets and cloth caps and prepared to enter the 650-yard long deaerator corridor (+10m elevation) which connects all four operating reactors. All of the windows down the entire deaerator corridor were blown out by the explosions. 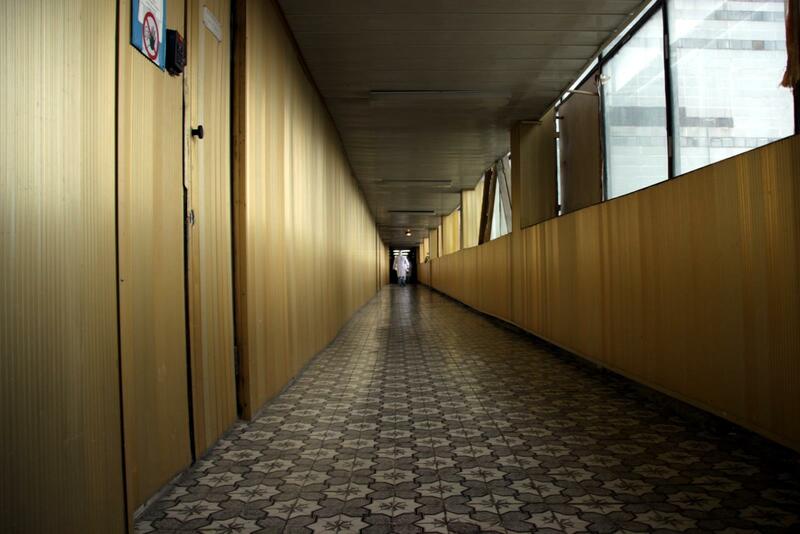 The long hallway is now called the “Gold Corridor” because of the wood paneling and gold-colored metal covering the walls walls. Walking from the ABK-1 building through the Golden Corridor. The Gold Corridor starts at the ABK-1 building and ends at the Unit 4 control room. 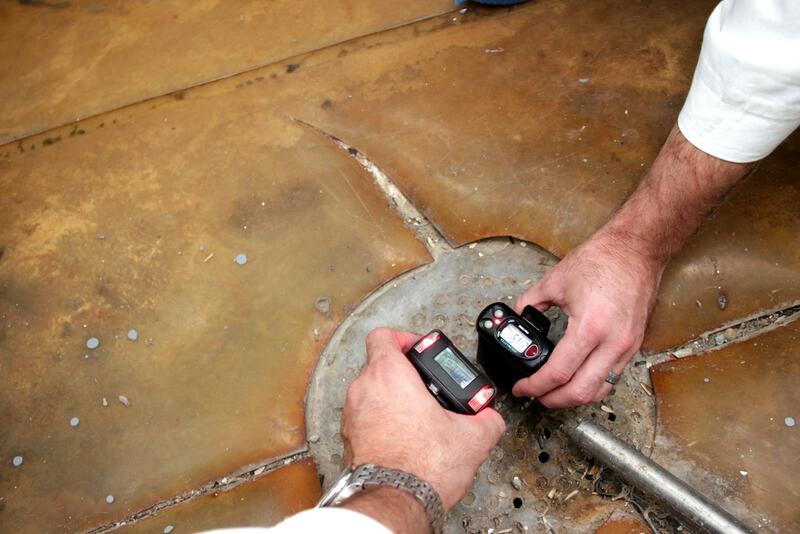 As we stepped into the corridor my detector started rising from 17 uR/hr to 84 uR/hr until it settled around 53 uR/hr. 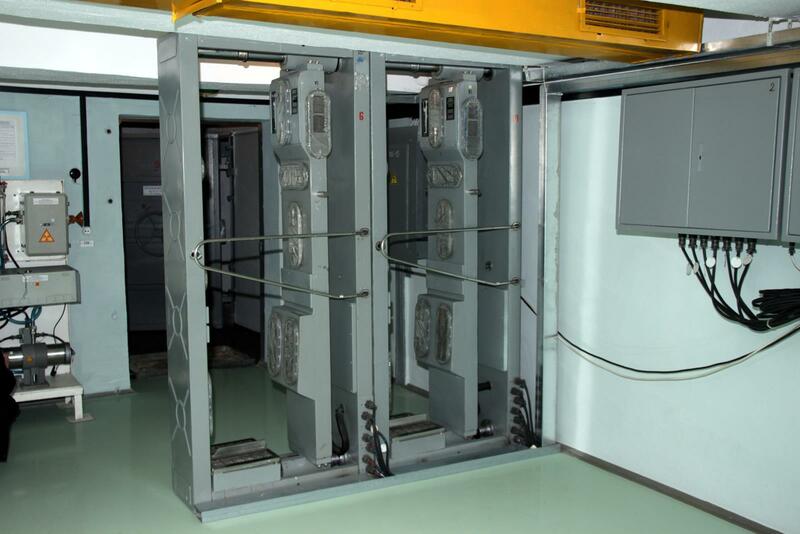 The hallway runs past the control room for Unit 1, 2, and 3, dosimetry rooms, switchyard control rooms, fire control rooms, and connecting hallways to each of the reactor buildings. We travelled down the corridor until we reached the Unit 2 control room. 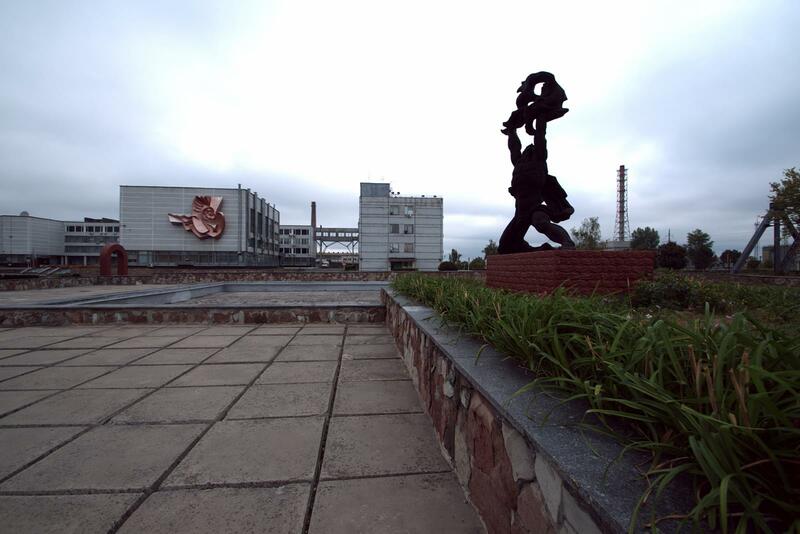 The Unit 4 reactor is not the only reactor at Chernobyl which was shut down after a severe accident. The Unit 1 reactor had a partial core meltdown in 1982, but later returned to operation. 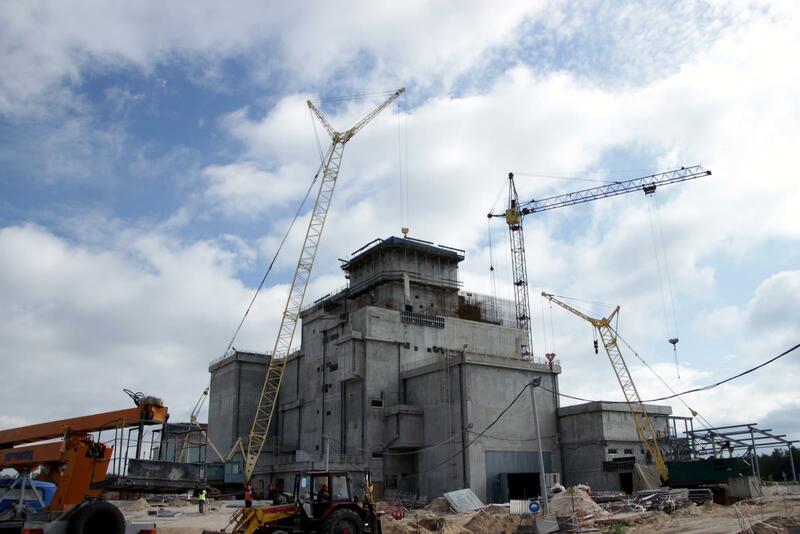 The Unit 2 reactor was shut down in 1991 after a fire in the turbine building that caused the roof to collapse and destroyed the feedwater pumps. 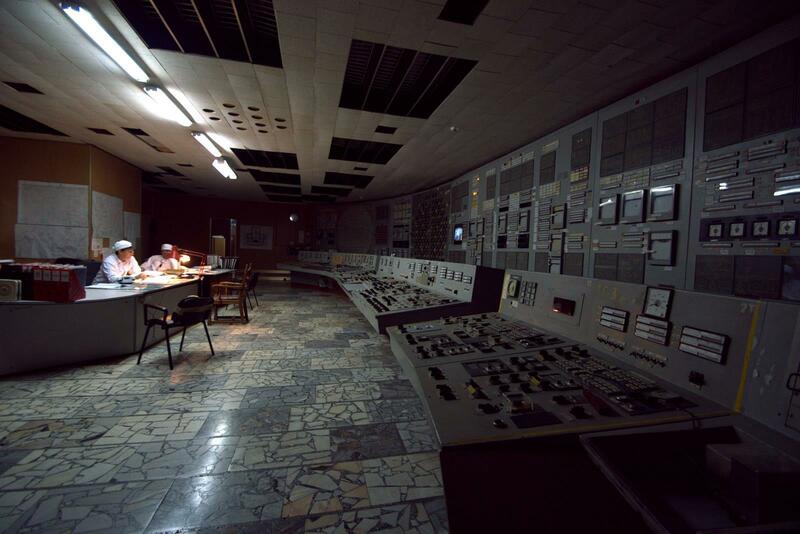 As we entered the dimly-lit Unit 2 control room, my eyes scanned the room taking in the controls for the reactor, the core map display, the control rod servo display, and the gentle glow of the television monitors fixed around the room providing footage of auxiliary areas in and around the reactor building. 4 florescent lights in the middle of the room provided a little glow, but the only other lights were from lamps on the desks in the middle of the room. I walked around the edge of the room between the controls for the reactor and the wall panels looking for familiar components and instrumentation. As we explored the control room my detector ranged between 55-117 uR/hr, but I found a spot with elevated levels near the entrance that peaked at 458 uR/hr coming from up in the ceiling. Situated directly above the control room on the +15m elevation is a “pipeline connection” room which houses feedwater lines which return coolant from the condensers back into the reactor building. It is possible that the hotter area I found is coming from the feedwater sumps or other components located directly above where I was measuring. The RBMK is a single-loop plant, meaning that the coolant returning from the turbine is radioactive during normal operation. Continuing down the Golden Corridor past the Unit 2 building. After 30 minutes, we exited the Unit 2 control room and continued through the golden corridor towards Unit 3 and Unit 4. My detector alerts that the radiation levels are rising as we continue down the hallway. 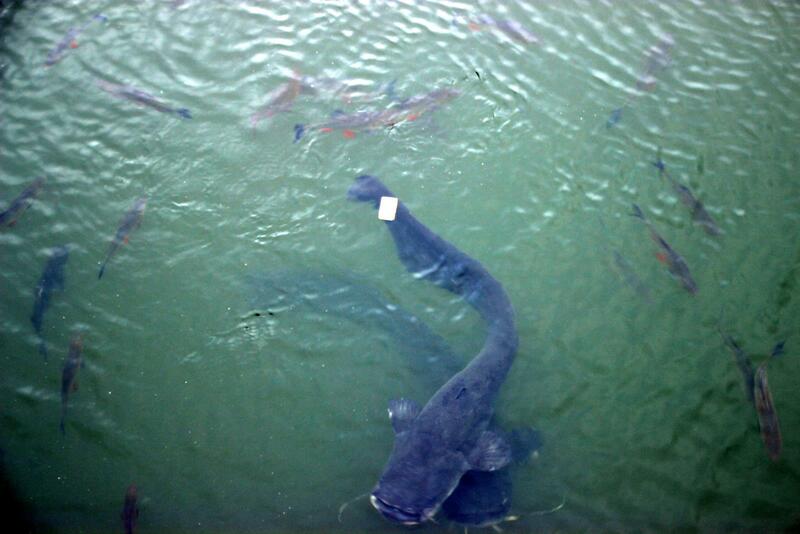 The radiation levels, which had started at 69 uR/hr, suddenly jumped to 462 uR/hr, then 628 uR/hr, and peaked at 763 uR/hr. Looking out the windows as we passed through the passage we could see the reactor and administration buildings, but only one or two workers randomly passed by. 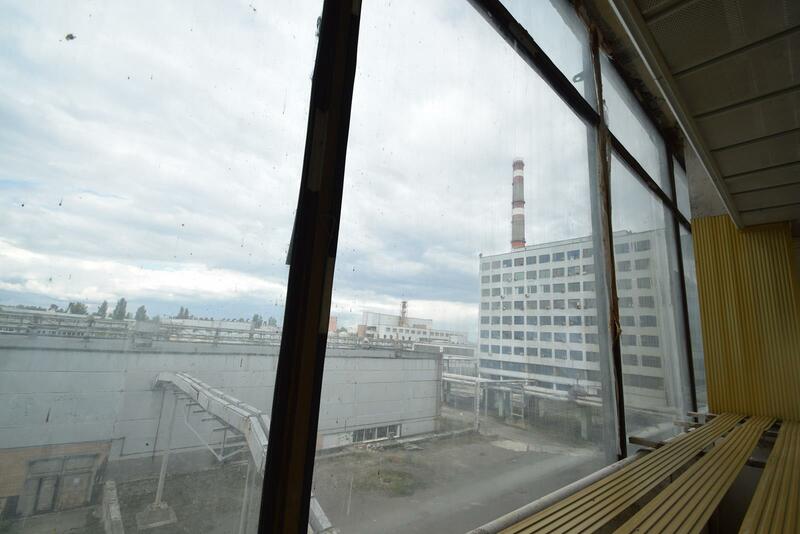 The windows of the ABK-2 administration building, where mid-level plant workers have offices, were all closed but practically all of them had air conditioning units hanging out. We passed through the Unit 3-4 ventilation block, the Unit 3 main circulation pump engine halls, and cut through maintenance corridors. We were all looking for hotspots as we passed through each area. 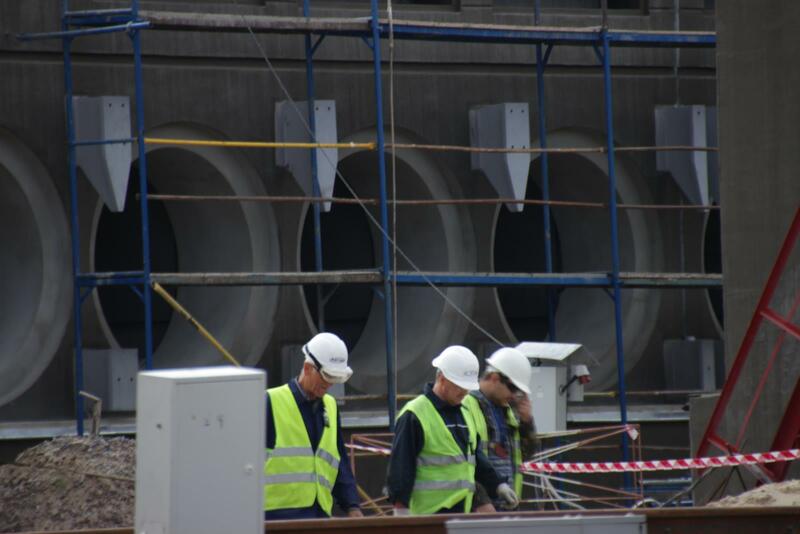 It was not uncommon to find high gamma levels in the form of loose surface contamination on top of pipes and vessels. A fairly hot drain in one of the passageways. Note the plastic on the floor. As we passed through the ventilation building we scanned drains and depressions in the floor where dirt collected and on top of pipes running along the floor. 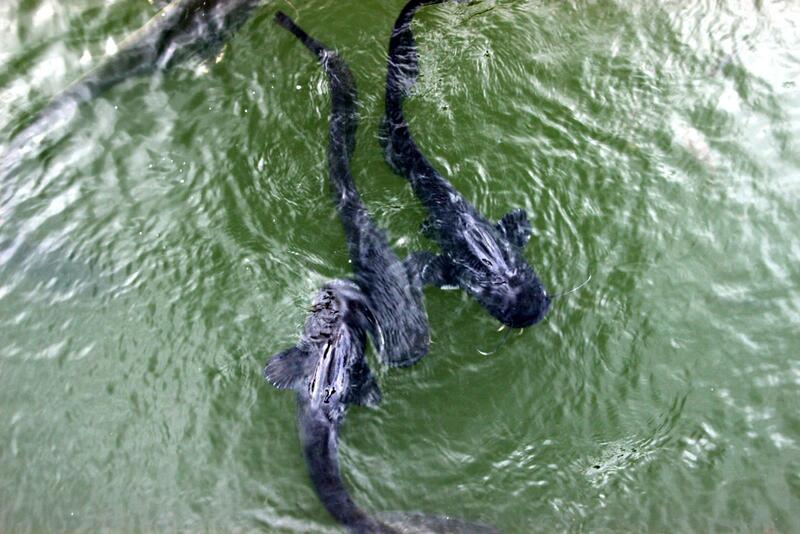 In some areas the floor was covered with plastic to prevent the migration of contamination. This Ludlum Model 26 is flashing 99.9 kcpm letting us know that it has reached its detection limit. 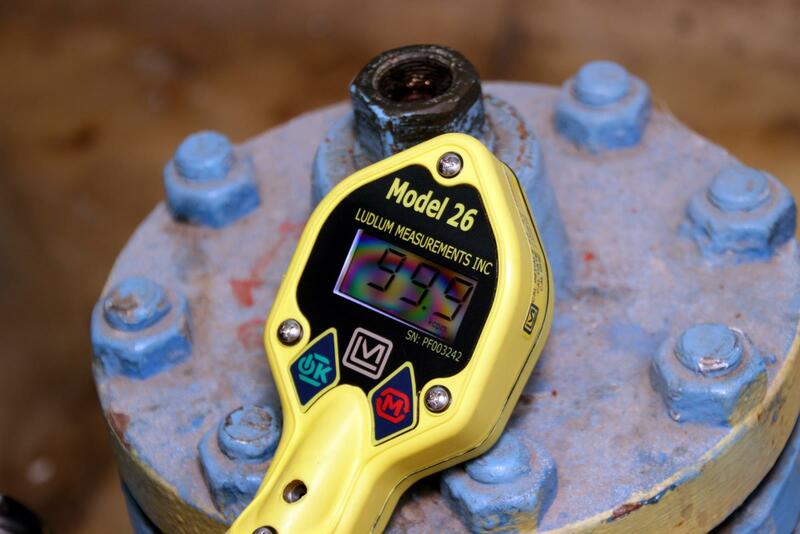 Some of the group members carrying new Ludlum Model 26 pancake survey meters would find levels of alpha and beta contamination that would easily max them out — until the meters were just flashing 99.9 kcpm and alerted the operators that they had gone off scale. 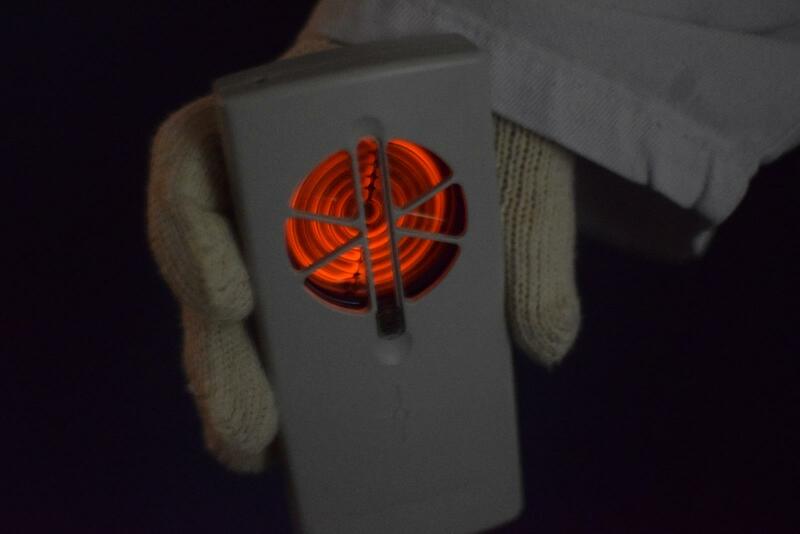 The Geiger-Mueller tube on the Radex glowing. One of the members of our group brought a new Radex RD1008 detector (measures gamma and beta) that he was beta-testing for the manufacturer, which featured a beta detector with a coil in it on the backside. We found a few locations where the beta detector was so flooded that the Geiger-Mueller tube was glowing red in the darkness. We continued through the maintenance hallways, which were very dark, until we came to a brightly-lit corner where we observed Valery Khodemchuk’s memorial. Khodemchuk was the main circulation pump operator at Unit 4 and is recognized as the first person to die as a result of the disaster — having been in north main circulation pump engine hall that was crushed by the explosions in the reactor building — and his body was never recovered. The memorial is located as near to the spot to where he is likely buried as the corridors will allow (thought to be under rubble on the other side of the concrete wall). 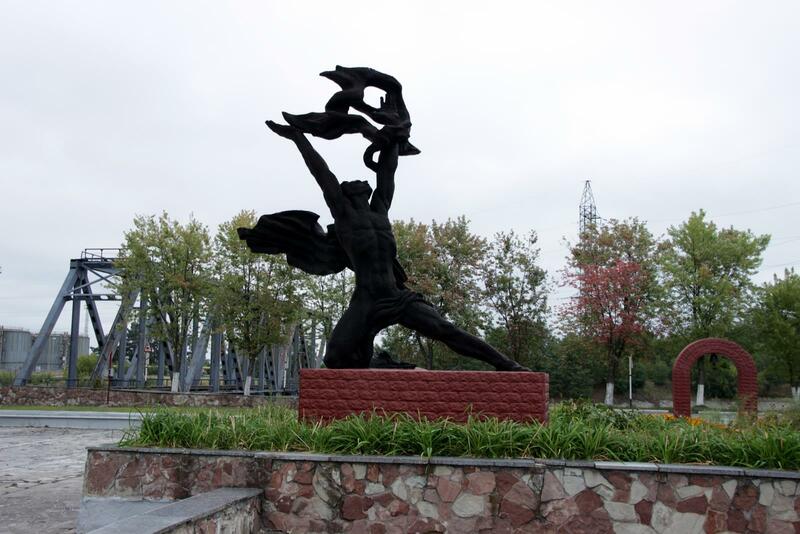 The radiation levels measured near the memorial were 469 uR/hr. 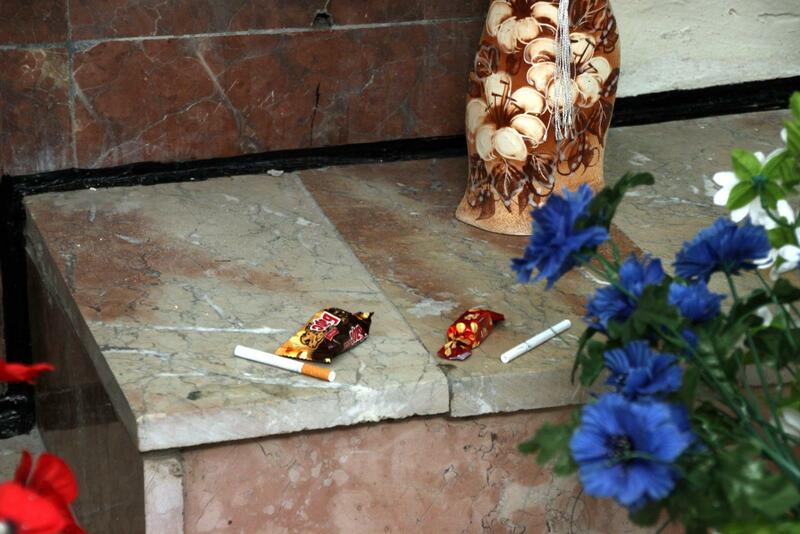 Flowers, chocolates, and cigarettes left on the alter for Valery Khodemchuk. Soft light floods down from a fixture hanging high up on the wall and illuminates a pedestal in front of a carved monument of marble, wood, and bronze fixed against the wall. Flowers, chocolates, and cigarettes lay on the altar, left by the workers for their fallen comrade, as they pass through the dark corridors. The Main Circulation Pump room. A few yards down the hallway and suddenly we step into a large room with 4 large circulating pumps that used to move 8,000 m3/hr of coolant water into the reactor. 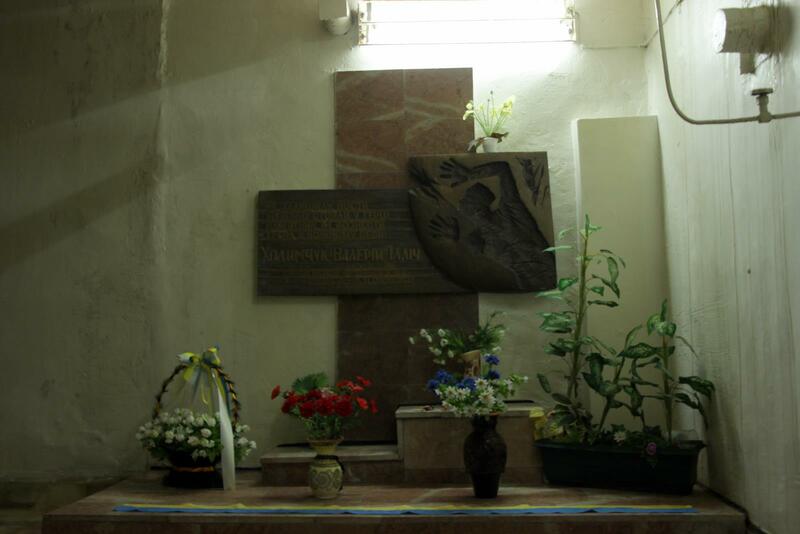 It is in a room like this that Khodemchuk was buried in. The stairwell I poked my detector into and found a gamma hotspot. As we passed though the maintenance corridors I poked my detector in a dark stairwell and it immediately started alarming. As I moved closer to the floor the readings rose to 48,260 uR/hr (48.26 mR/hr). We found some radioactive dust. In another corridor, down in drain, one of the group members discovered a joint in the pipes running along the floor that maxed out the beta-window on his detector — the gamma levels measured on my detector were 1,330 uR/hr. 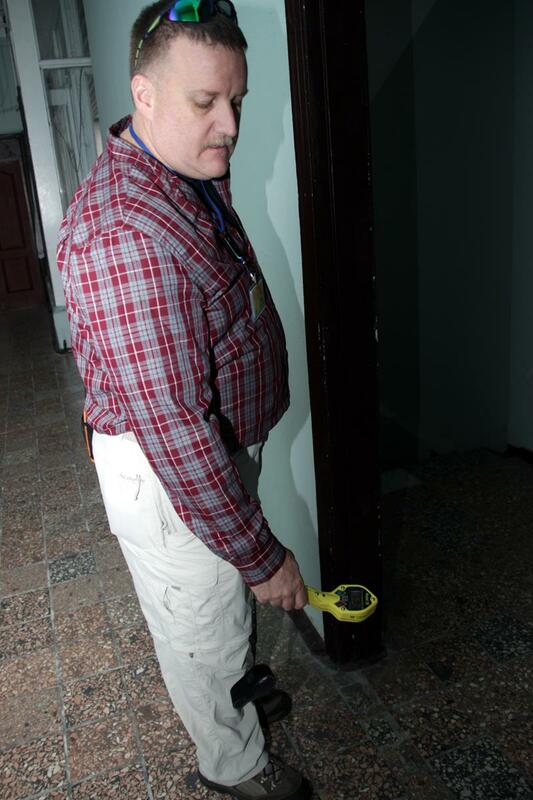 Making sure we hadn’t contaminated our detection equipment in the buildings. We finally exited back to the ABK-1 building. We removed our protective jackets and caps and surveyed each other and our equipment with our pancake detectors before we passed through two contamination portals to ensure that we weren’t transporting any contamination out of the controlled areas. The weather had been overcast most of the day, which we had not really noticed since so much of our time was spent indoors. As we stepped on the train to leave the nuclear power plant for Slavutich, the sun finally broke through the clouds and warmly greeted us through the windows of the train cars. The lighting was perfect and I stared out the windows at the woods, wetlands, unused railroad tracks overgrown by nature, and abandoned buildings in the exclusion zone.